Medical log items allows you to customize the values that your health center staff can select when creating medical logs. Medical log items can be managed for Assessments, Complaint, Disposition, Staff attending and Treatment. 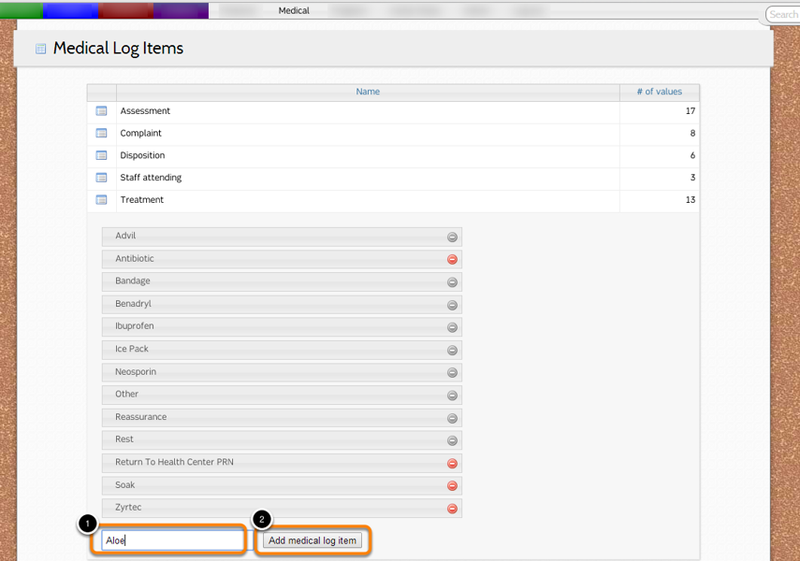 To add values to a medical log category, click the list icon next to its name. 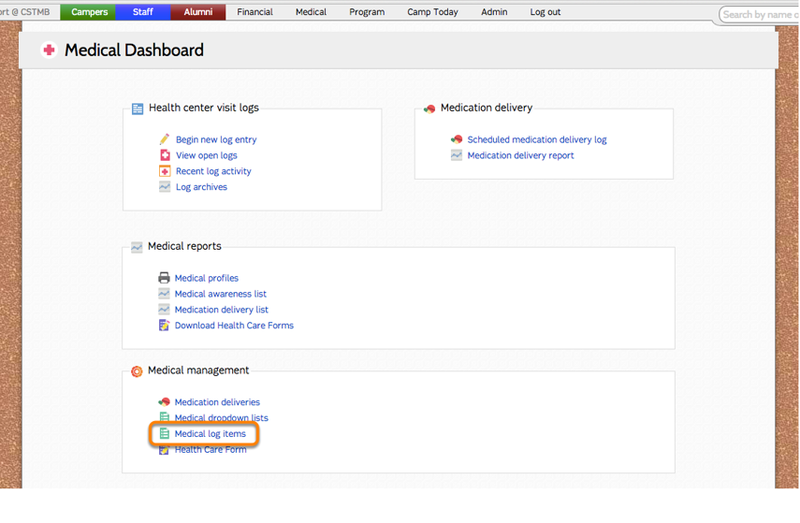 Click "Add medical log item"
The new medical log item will be added to the list and available for use on Health Center Visit Logs. Medical log items can be deleted by double-clicking the red minus sign. Items that have been used on a medical log cannot be deleted, in which case the minus sign will be grayed out.